Elsa Schiaparelli fragrance and perfume list. Italian fashion designer, Elsa Schiaparelli, launched her fashion line knitwear in 1927, and in 1931 moved the Schiap Shop to Rue de la Paix in the Place Vendôme, Paris. Schiaparelli's most notable fragrance, Shocking, launched in 1937 came in a hot pink box (called shocking pink in Briton, made famous by Schiaparelli). The packaging, designed by Surrealist artist Leonor Fini, was inspired by Daisy Fellowes' 17.27 carat pink diamond from Cartier (Tête de Belier, the "Ram's Head")and the fragrance bottle, shaped like a woman's torso, was inspired by Mae West's tailor's dummy. 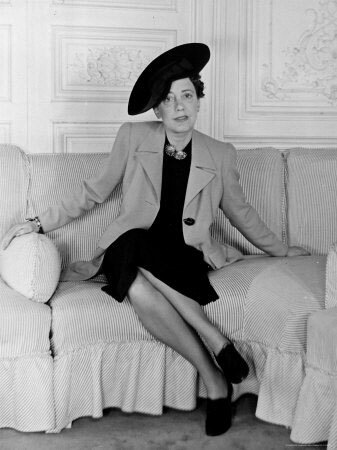 Fellowes and West were both clients of Elsa Schiaparelli.